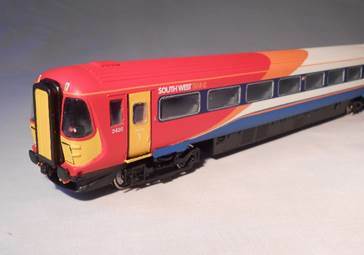 Our Model features single piece cast resin bodyshells, complete with flush glazing. The cabs display our usual level of detailing and include the front end underframe moulding. This will mean that we won’t provide end of unit couplings. We offer the choice of having the cab front inter-unit jumper cables exposed or behind the covers provided originally. 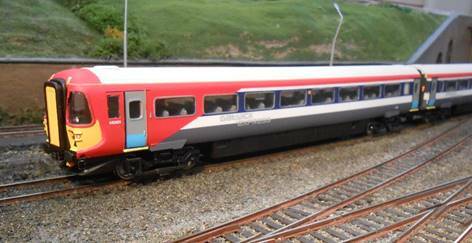 Each unit has the motor unit set within the units MBC car to drive the model, picking up from all eight wheels of that car and is DCC ready. We do not provide unit lighting. 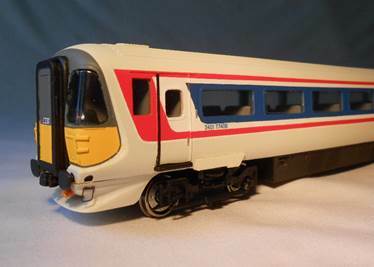 Each model will be completed in a livery of your choice, complete with unit numbers of your choice. 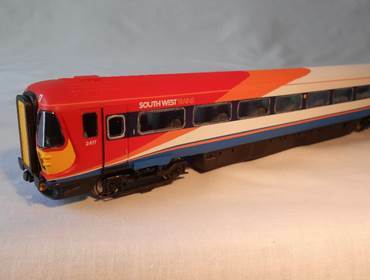 All liveries on the model are the same price (£950.00). As we operate a build slot system we will dispatch orders on a first come first served basis, but we will be able to confirm a proposed delivery date on ordering. As is our policy we do not require a deposit to secure your delivery slot and we will confirm your requirements prior to construction of your model.